We made it to the Keys! 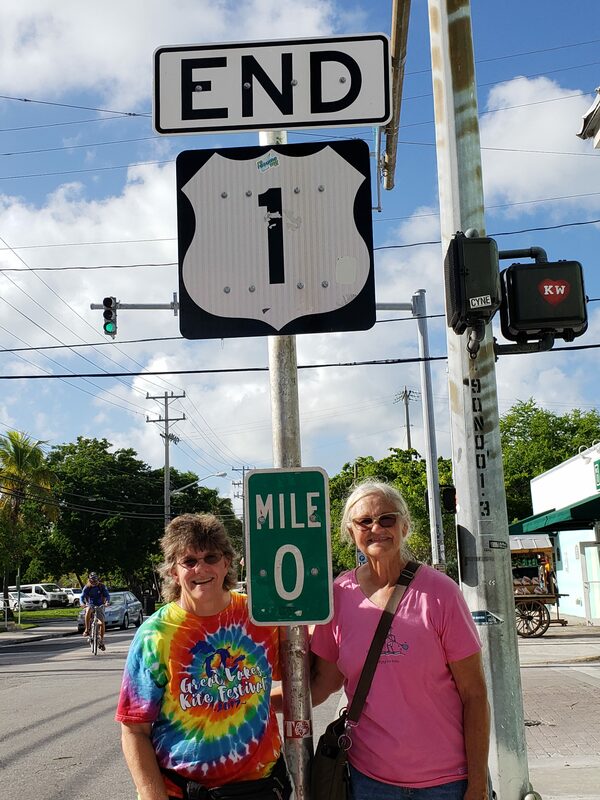 We planned our trip to get to the Keys prior to the big event Fantasy Fest. 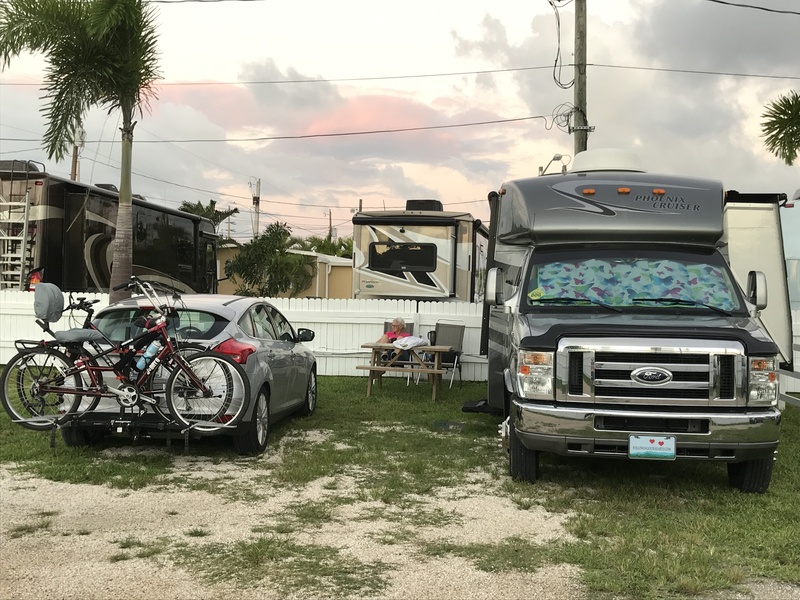 When we called to make reservations at Leo’s Campground in the Keys, if we didn’t get there before the Festival started it was a 4 night minimum at higher rates! Ouch – but the worse problem was it was going to be noisy and crowded! Leave us out of that. Our campground was nice and had minimal damage from Hurricane Irma last year. We were all in the same row and had the row to ourselves. 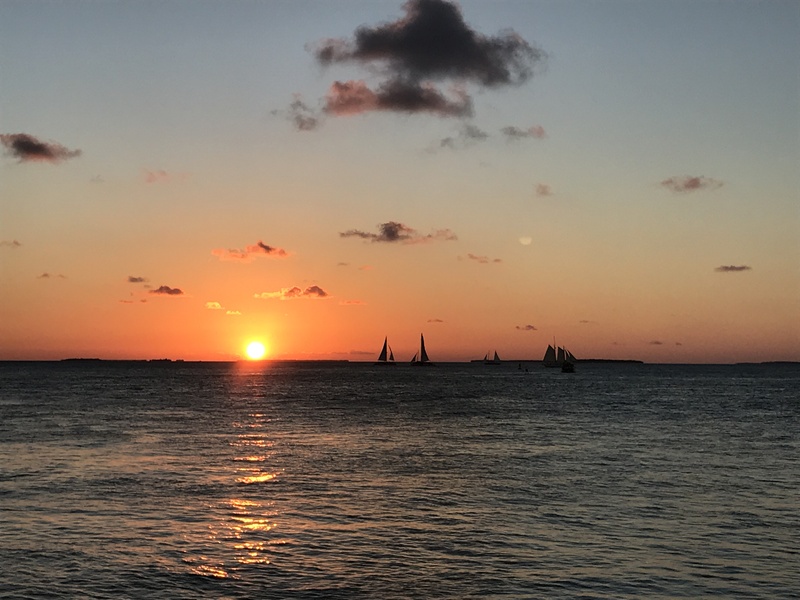 We spent an evening out at Mallory Point watching the sunset and the entertainers. It was a Monday night and there were not as many performers as we remembered. 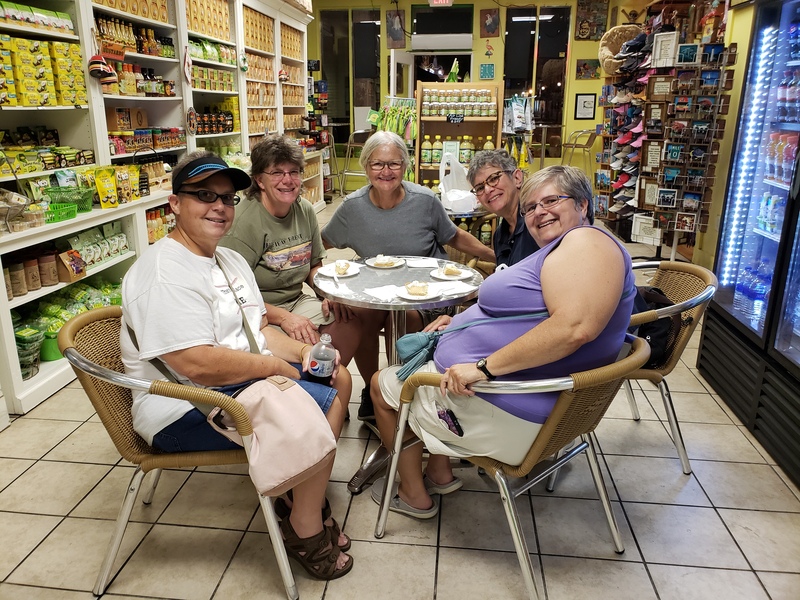 We enjoyed a piece of Key Lime Pie at the Key Lime Pie Factory – yummy! 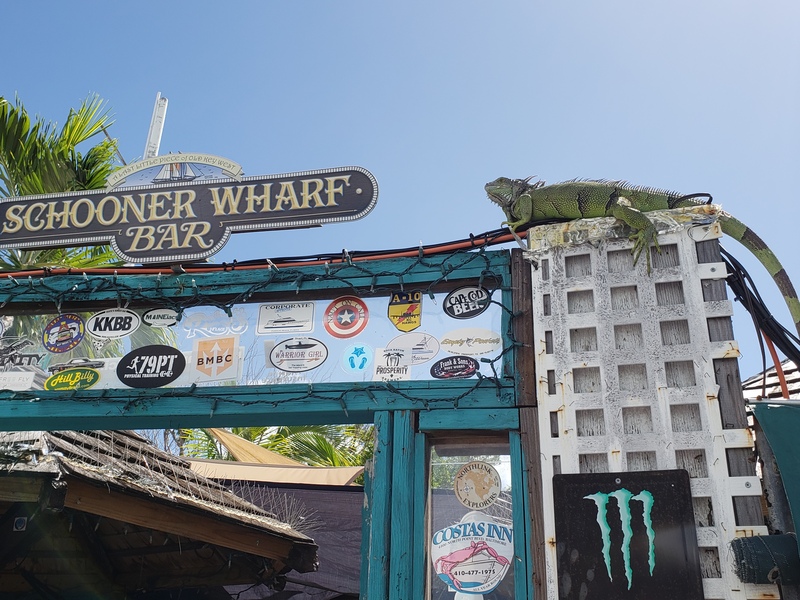 We had lunch one day at the Schooner Wharf Bar. There was a great singer and we had some unexpected visitors to our table! 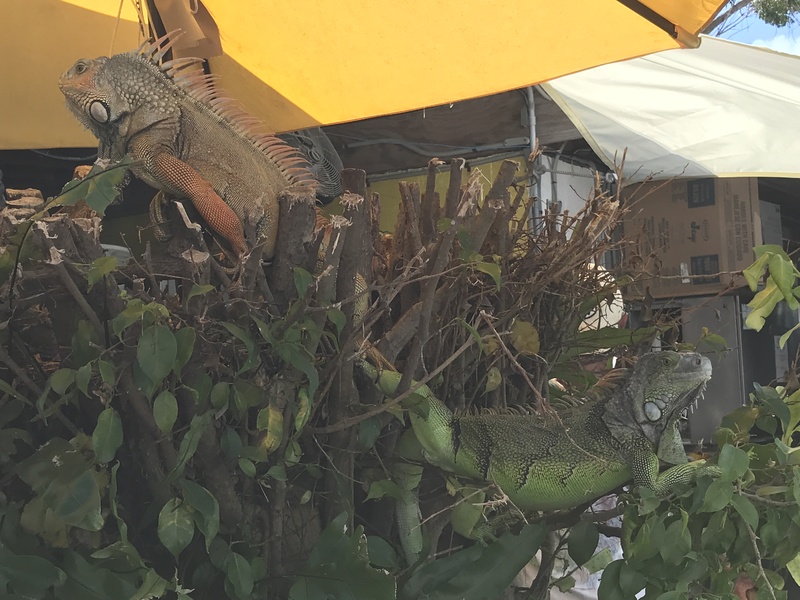 This pair of iguanas were too close for comfort. The first thing we saw was the tail and it made us jump! 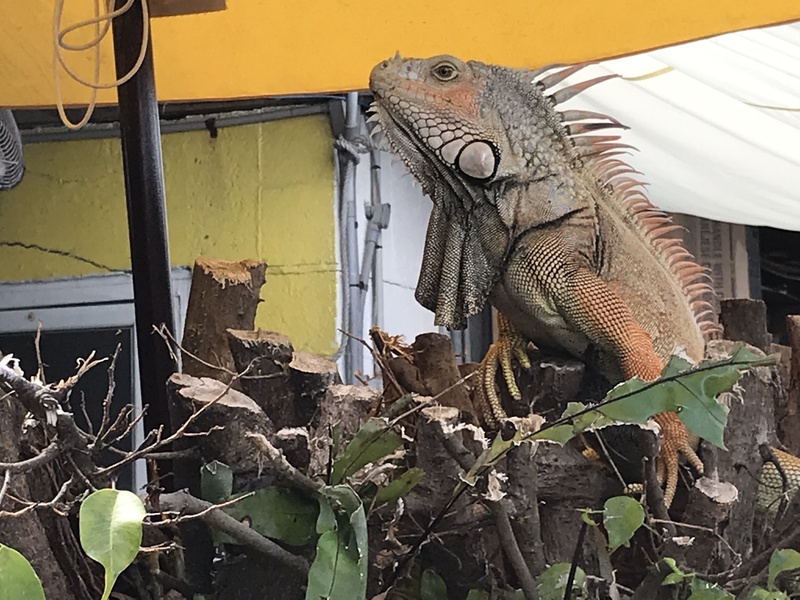 The waiter explained that the tree had recently been cut down. After watching us eat our lunch for a bit, they ambled on their way. That wraps it up for our post on the Keys. 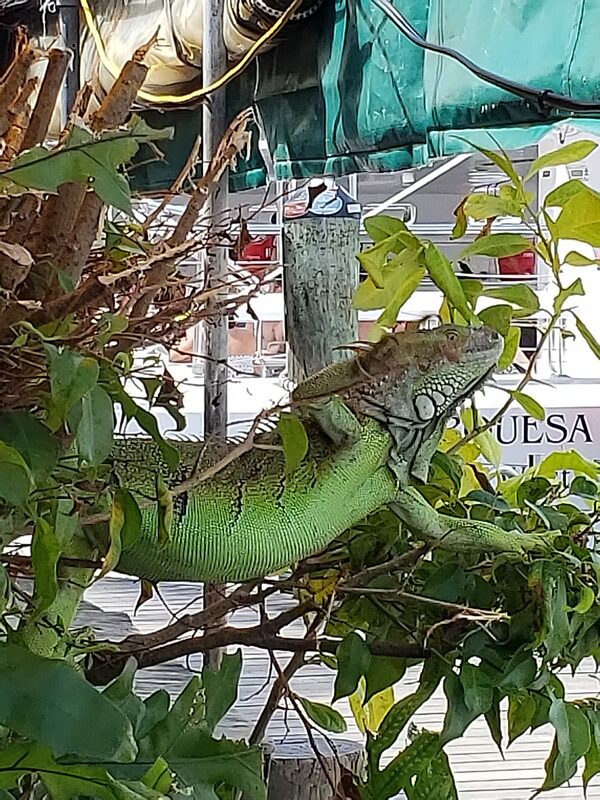 2 Responses to The Florida Keys! 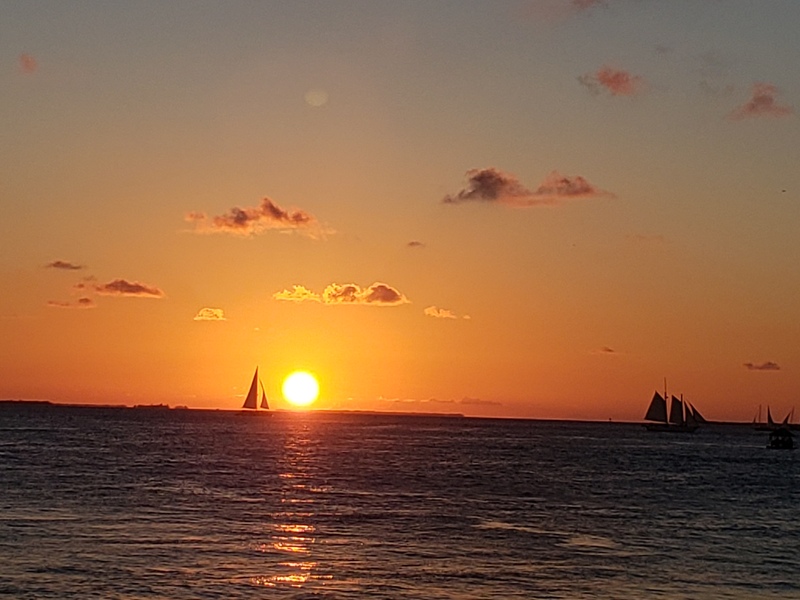 I miss Key West!!. Mike and I rode our Harley Trikes down to the point in March 2016. 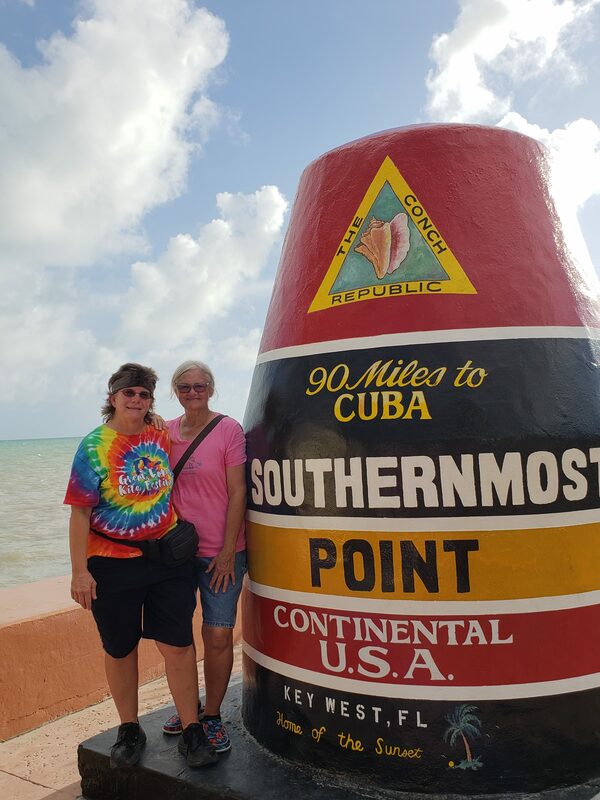 We have been there before but this was first time just the 2 of us went and according to Mike it was just to get a pic at southern most point with both the trikes….. 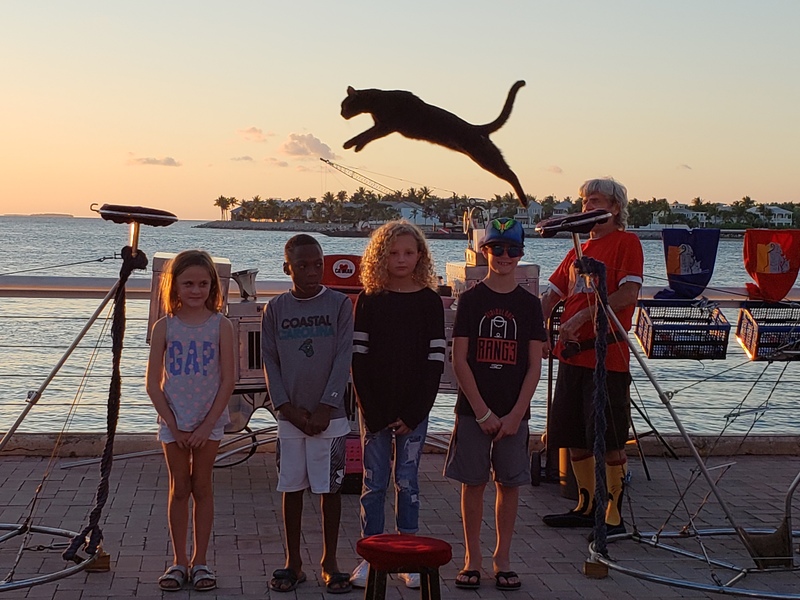 It was a great trip and we stayed further north in Marathon Key. Looks like you two hit all the best points and had a nice camp ground to boot. What a great way to see the keys-on your Harley trikes! I bet you’ll go back. You have an adventurous spirit!